The Indian Museum is the largest and oldest museum in India and has rare collections of antiques, armour and ornaments, fossils, skeletons, mummies and Mughal paintings. 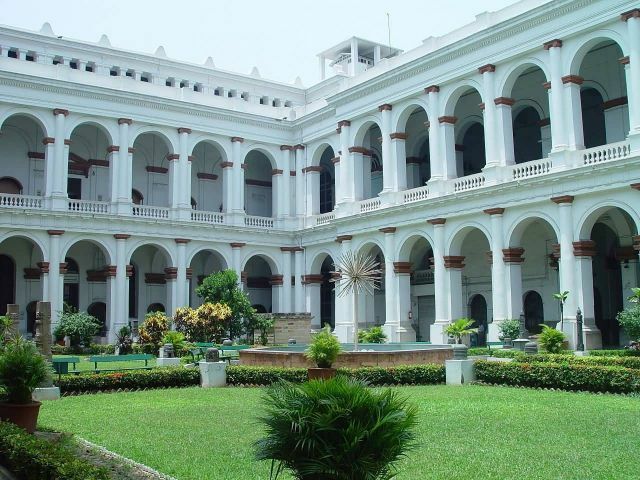 It was founded by the Asiatic Society of Bengal in Kolkata (Calcutta) in 1814. The founder curator was Dr Nathaniel Wallich, a Danish botanist. It has six sections comprising thirty five galleries of cultural and scientific artifacts namely Art, Archaeology, Anthropology, Geology, Zoology and Economic Botany. It is one of oldest museums in the world. This is an autonomous organization under Ministry of Culture, Government of India. The present Director of the Indian Museum is Dr. B. Venugopal. The museum was closed to the visitors due to massive restoration and upgrades from 1 September 2013 to 3 February 2014. It currently (2009) occupies a resplendent mansion and exhibits among others: an Egyptian mummy, the Buddhist stupa from Bharhut, the Buddha’s ashes, the Ashoka pillar, fossil skeletons of prehistoric animals, an art collection, rare antiques and a collection of meteorites.